Today, SnapRoute announced that it has launched the industry's first Cloud Native Network Operating System (CN-NOS) to accelerate application time to service, assure compliance and simplify run-time operations. VMblog recently spoke with Glenn Sullivan, co-founder at SnapRoute at KubeCon 2018, so we reached out to him to learn more about this latest announcement as well as get his expertise on the trends affecting cloud native architecture adoption, networking challenges, the importance of Kubernetes in bringing networking into the cloud native era, and more. VMblog: What market trends are we seeing and how are these trends impacting cloud native architecture adoption? Glenn Sullivan: More and more business value is being delivered via applications as companies strive to improve the customer experience and address increasing competitive pressure. In response, the way those applications are being built and deployed into the data center has been rapidly evolving to accelerate time to service, enhanced security and improved operational efficiency. This has ushered in new operational and design principles that we call cloud native, driven by the DevOps movement; a combination of philosophies, practices, and tools that increase an organization's ability to deliver application and services at high velocity. With this shift to DevOps, compute and storage have fully embraced cloud native and associated benefits; creating a much more agile infrastructure that can move at the speed of application development. But throughout this shift, nothing significant from network vendors has changed how the network enables and services the application workload. Consequently, networking has remained costly to deploy and maintain, and inflexible. More importantly, it is increasing in significance as an inhibitor to overall business agility and growth. VMblog: What networking challenges do companies face in adopting cloud native architecture? Sullivan: The network (versus compute and storage) has remained static, complex and NetOps teams are forced into being siloed operationally; unable to integrate into the agile and rapid DevOps approach. The heart of the challenge lies with today's legacy network operating systems; which are built in a monolithic architectural style with a rigid code base that prevents businesses from adapting to rapidly changing demands. The complexity of these legacy network operating systems creates brittle network environments that are prone to outages, and restrict collaboration between the teams that develop applications (DevOps) and the teams that operate networks (NetOps). This results in significant increases in application time to service, security vulnerabilities, and policy violations. VMblog: Why has networking been so slow to catch up with the cloud-native push? Sullivan: Network vendors, to date, have benefited from the obfuscation that is a result of making network devices appliance-like - allowing them to be treated as exceptions or snowflakes in the environment. With the operating system and the kernel there-in kept secret and hidden - the network vendors can innovate at their pace, instead of the pace of the operator. With decades of development invested in this obscured, monolithic code-base and a wide audience of operators that have grown accustomed to the "network way" of doing things has caused inertia for the traditional network vendors from adopting cloud-native principles. VMblog: How is SnapRoute solving this with CN-NOS? Sullivan: SnapRoute's Cloud Native Network Operating System (CN-NOS) creates enhanced network agility, integrates networking natively into DevOps environments, and enables operational effectiveness to drive rapid, secure, and efficient application deployment and business performance. With SnapRoute's microservices, containerized cloud native architecture and the embrace of DevOps, companies have an open, agile network operating system where features can be added and upgraded without impacting the system (bringing value to customers faster), reduced security expose given the ability to surgically replace vulnerabilities in real-time (any-time compliance), and elimination of maintenance windows (higher availability and resource utilization). VMblog: Why is SnapRoute's CN-NOS different than other solutions on the market today? 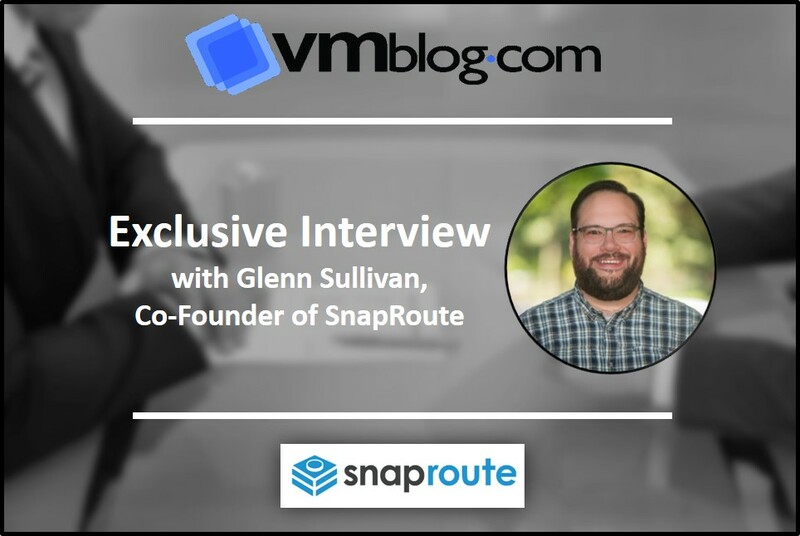 Sullivan: SnapRoute's unique containerized, microservices architecture, along with natively embedded Kubernetes, eliminates the architectural restrictions that plague today's legacy network operating system; a single "everything and the kitchen sink" code base that makes it inflexible, unable to embrace DevOps principles, cumbersome to patch and keep up to date, and increasingly vulnerable to security attacks. VMblog: Why is the use of Kubernetes so significant to bringing networking into the cloud native era? Sullivan: SnapRoute is the first and only company to natively embed Kubernetes into the network operating system itself. This empowers DevOps to deploy and operate the application, while eliminating time consuming NetOps tasks, such as Access Control List (ACL) configuration, that require layers of API integration, multiple tools and human glue. By enabling the use of common Cloud Native automation tools like Kubernetes on the network, you can remove the silos that exist between development and infrastructure teams (including compute and storage); and begin to view the operation as a single unit. VMblog: What are the benefits of the CN-NOS and who gets the most value form using it? Sullivan: With SnapRoute's Cloud Native Network Operating System (CN-NOS), companies can (1) accelerate time to service: adding & upgrading features and fixes in real-time without downtime requirements and leveraging native DevOps toolchains to automate and control network attributes that support rapid rollout of applications; (2) enhance security and compliance: removing, not just disabling, unused services to reduce security exposure and thread surface of the network operating system and assure compliance at any time with the ability to surgically replace only vulnerable services in real-time; (3) simplify operations: maintaining policy control and NetOps ownership while limiting menial tasks traditionally needed to support application roll outs. These operational capabilities benefits both DevOps (focused on rapid application deployment) and NetOps (focused on operating an application responsive network; agile and operationally efficient).